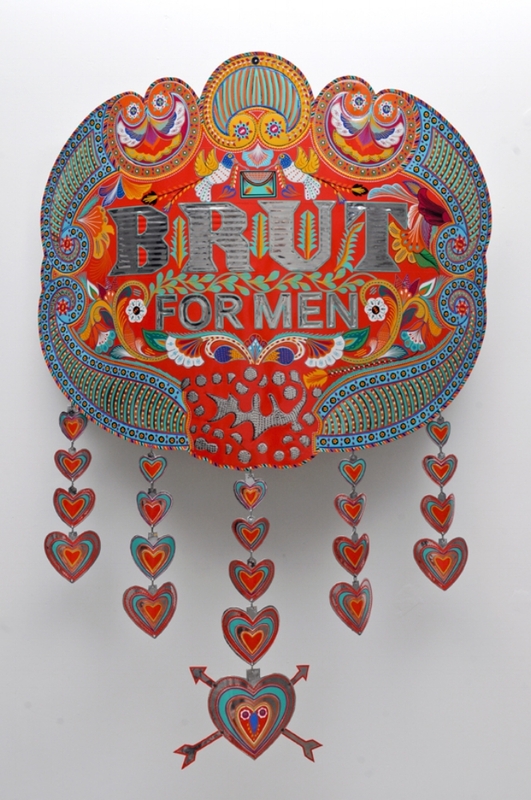 Made of hand-beaten and hand-crafted stickers (known as Chmak Patti), the Brut for Men relief sculptures combine strength and power with fragility and beauty. The form and the structure of the large medallions pay homage to the hand-crafted tradition of body (breastplate) and face armour (helmet) in Islam. It also takes inspiration from the elegant and fragile traditional craft of flower garlands, called Sehra (chaplet), a flower headdress worn by the groom and bride to cover their face and popular in countries like Pakistan, Bangladesh and India. 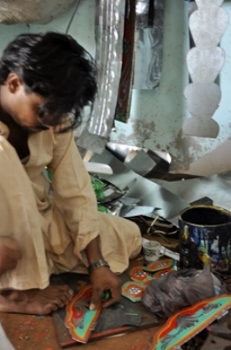 On one hand, these works are part of Art Brut (or Outsider Art), in that they are a celebration of the tradition of Pakistani metal and hand-cut sticker crafts in truck art, which aligns itself with the Islamic tradition of ustad/shagird (master/student), copying and collaboration. 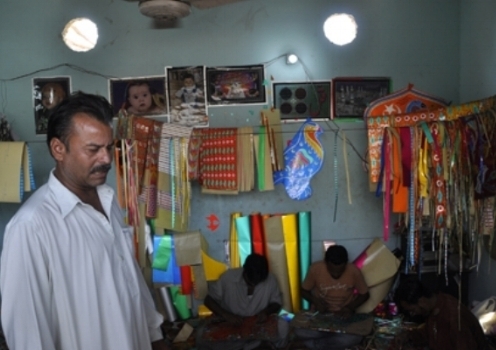 On the other hand, Brut For Men presents contemporary Pakistani masculinities as a cultural trope, ranging from the brutish, the raw and unrestrained, to the cultured, gentle, and atypical. The works explore the very essence of the dichotomy of the word ‘brut(e)’ through chance, experimentation, narrative and collaboration, imaginatively combining an immediacy of expression with technical excellence. DAWN: Foreign palette: Et tu Brute?